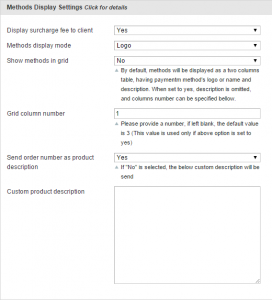 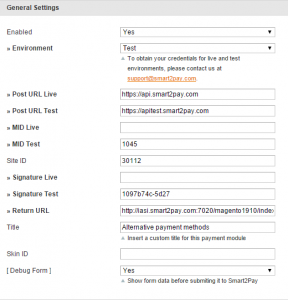 The configurations for the Smart2Pay Magento plugin can be found in the administration area of Magento under: System->Configuration menu, section Sales->Payment Methods-> Smart2Pay Payment Module. 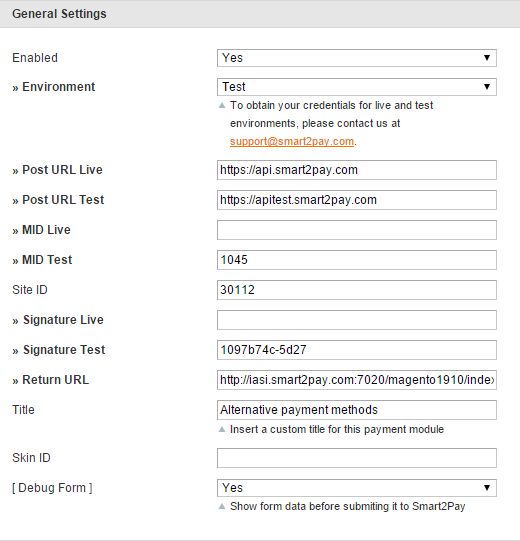 Note: If the Smart2Pay Payment Module is not visible, please make sure that the module output is enabled from: System->Configuration->Advanced->Advanced->Disable Modules Output->Smart2Pay_GlobalPay. 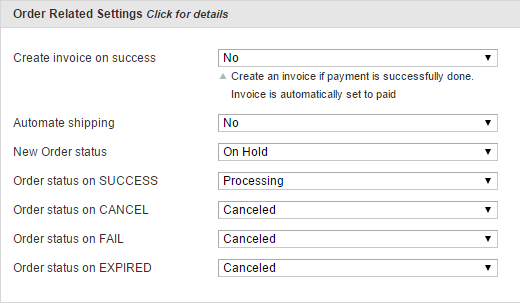 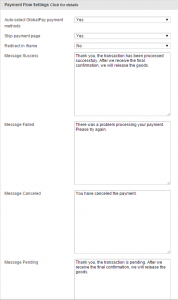 Message Canceled The message that is displayed at the end of the payment flow when the customer has canceled the payment. 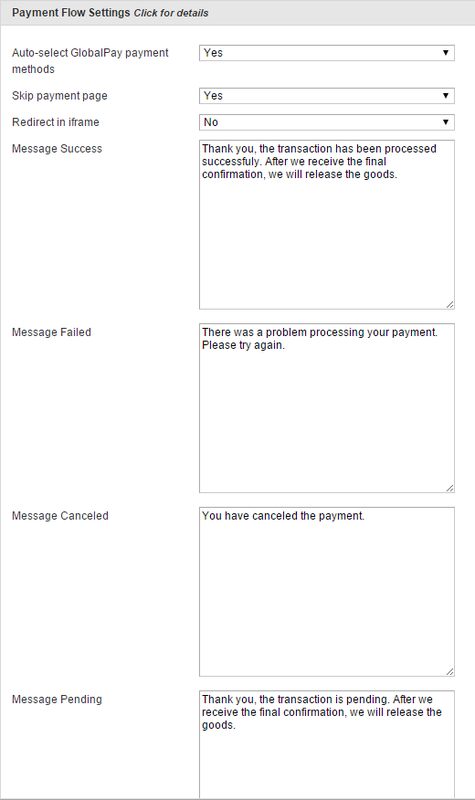 String You canceled the payment. 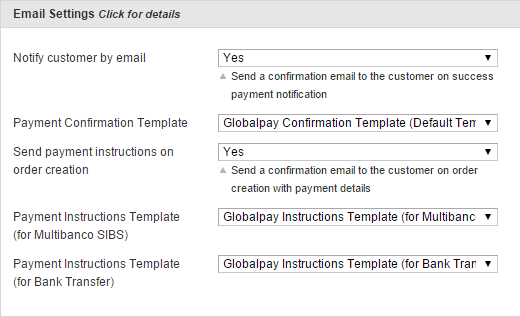 After the main configuration of the Smart2Pay Payment Module, please activate the payment methods that you plan to use. 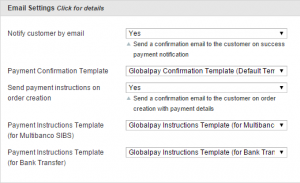 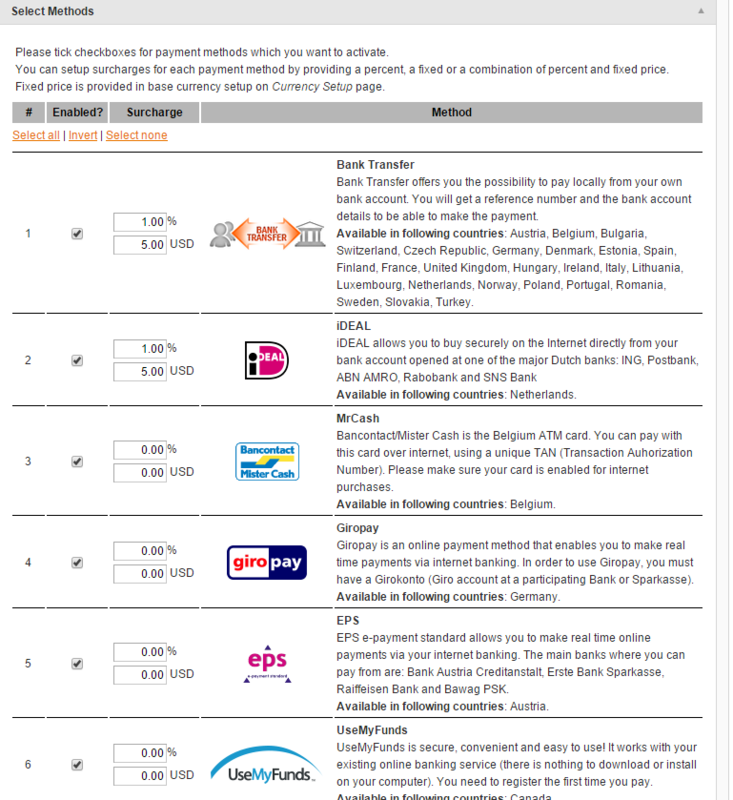 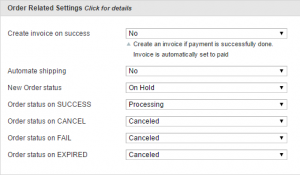 You have the option to pass the payment method fee to the customer. 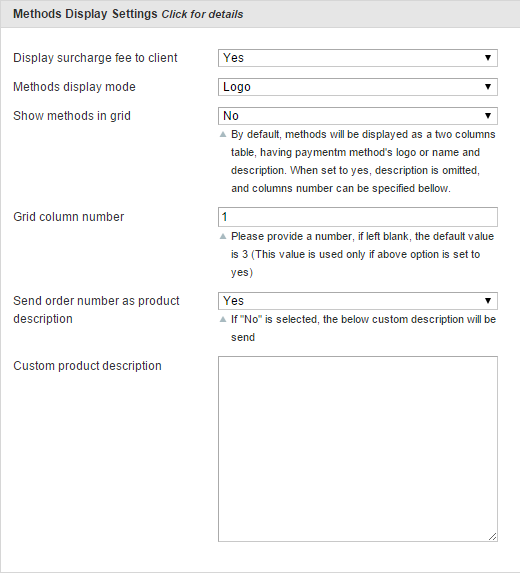 The fixed amount and/or percentage of the fee can be set in Surcharge column.